"I saw the bag and read the note. I was choked up." 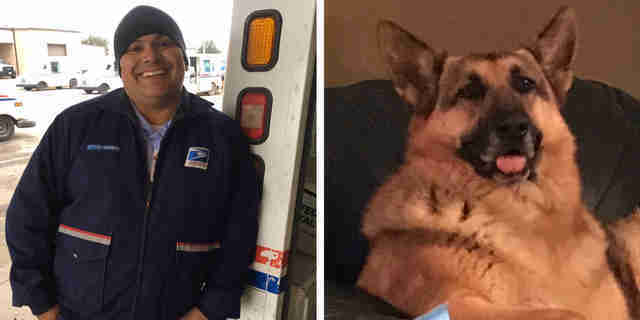 Gretchen the German shepherd may have recently passed away — but she found the perfect person to ensure her loving legacy lives on. 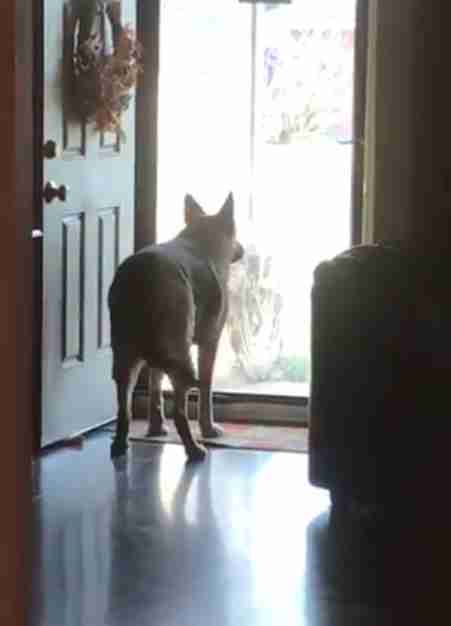 When the Cimino family, from Texas, adopted Gretchen as a rescue in 2013, it was evident that she had experienced little love in her life up to that point. "She was pretty mistrustful of all people," Chris Cimino told The Dodo. "I don't know her entire backstory, but judging from her initial reactions, it wasn't a good story." But soon, Gretchen came to adore her new family — though she was still very wary of all outsiders. 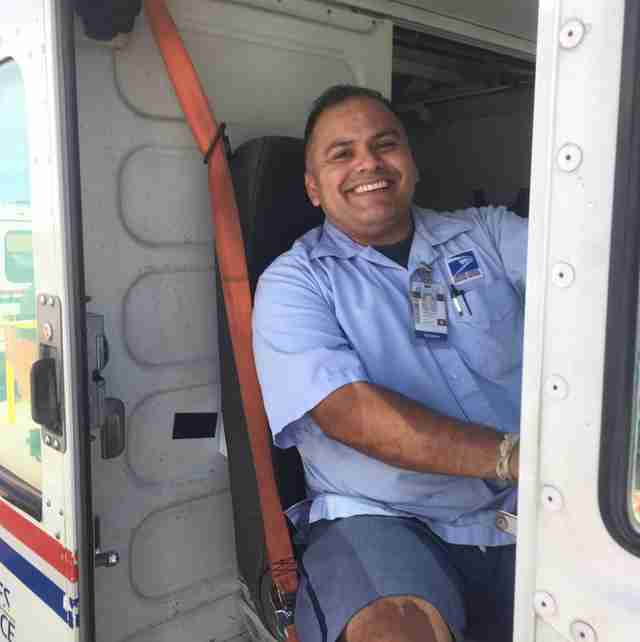 That is, until she met postal worker Fernando Barboza. 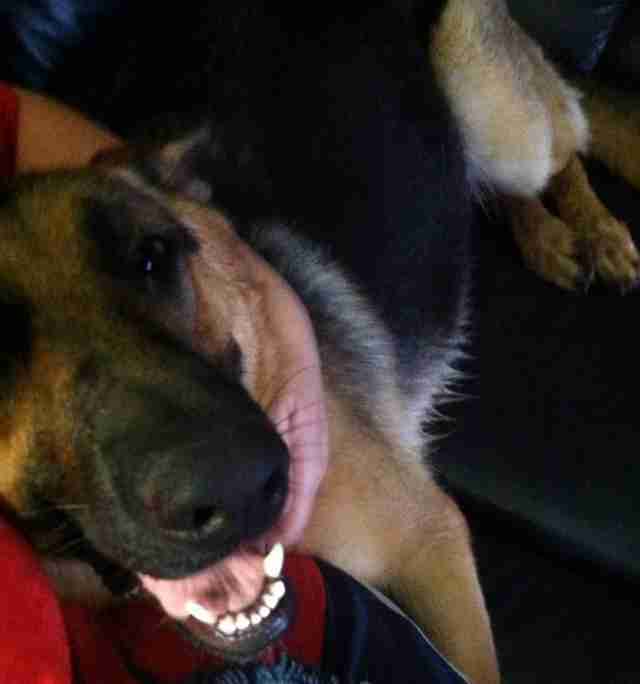 Barboza is a dog lover, and it shows. Since starting in his job five years ago, he's come to know all the dogs on his route by name. "I have a bag of treats in my mail truck," Barboza told The Dodo. 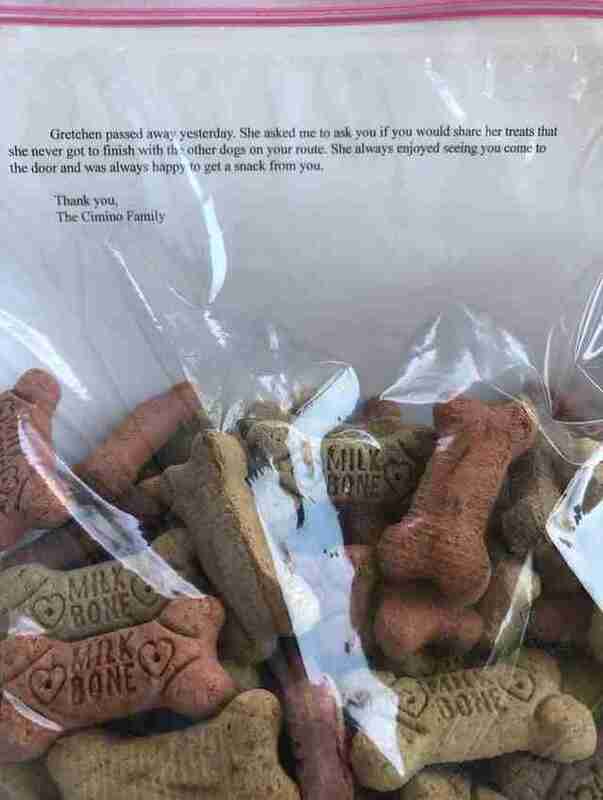 "When I bring a package to somebody’s door, and there’s a dog there, I give them a treat. Like, if I’m bringing something for the owner, I might as well bring something to the dogs, too, since they're part of the family." It was in this way that Barboza came to know Gretchen — and to be the first outside the Cimino family to win her over. "When I first met her, I was kind of worried," Barboza said. "She was a little standoffish at first, but then I started to talk to her and pet her and bring her treats." With that, a sweet tradition began to form, wherein Gretchen would wait eagerly by the front door anticipating the postal worker's arrival. This happened every day for years. "She knew the sound of the mail truck and she would perk up and get ready when she heard it," Cimino said. "[Barboza] just wore away that callus she carried with his good nature and love for her. And she loved him too." "She was my buddy," Barboza said. But this week, that tradition sadly ended. "On Monday, I saw Gretchen's family’s mailbox had its flag up, which meant there was outgoing mail," Barboza said. 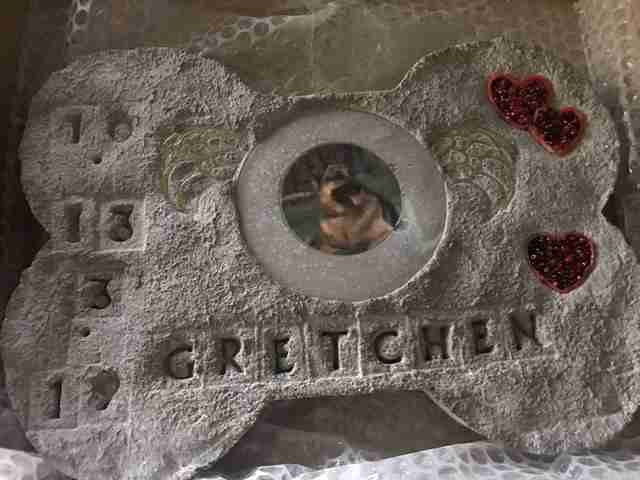 "Gretchen passed away yesterday. She asked me to ask you if you would share her treats that she never got to finish with the other dogs on your route. She always enjoyed seeing you come to the door and was always happy to get a snack from you." "I saw the bag and read the note," Barboza said. "I was choked up." Afterward, he went to the Ciminos' door to express his condolences — promising to carry out Gretchen's final wish. 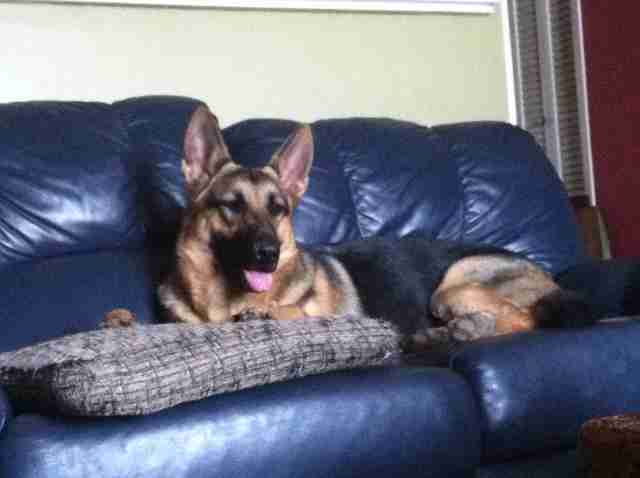 "I’ve been giving out her treats to the dogs on my route every day. And when I do, I always say, ‘This is from Gretchen,’" Barboza said. The sweet gesture has helped both Gretchen's family, and her dear friend Barboza, cope with her passing. "It's been both happy and sad," Barboza said. "I’m sad when I think about her, but I’m happy to see the other dogs’ tails wagging like crazy when they get the treats. It’s bittersweet." "I know that she would have wanted her favorite things that she couldn't finish to go to her friends," Cimino said. "She may not have liked many people, but she absolutely loved other dogs." Gretchen's family is still in mourning over her loss, but they're thankful for the years of kindness and joy Barboza brought to her — and is continuing to spread to others on her behalf. "I still expect to see my old buddy Gretchen, but of course she’s not there anymore," he said, adding that, despite her passing, in some ways she'll always be around. "To me, dogs become a part of us."